The BraunAbility Ford Explorer MXV was first released in 2015 to high acclaim. Finally, wheelchair users and their families had a safe and suave alternative to the accessible minivan. Customers flocked to the innovative wheelchair accessible SUV and its many space-saving features and the product quickly became known as the most popular and best wheelchair accessible vehicles of its time. Now, the BraunAbility MXV continues to draw crowds and the many patented engineering feats show why BraunAbility continues to lead the industry in quality and creativity. Whether you are new to the BraunAbility Ford Explorer MXV or a returning fan, here are 5 things you might not have known about the MXV, BraunAbility's first and only handicap SUV. What Is a Slimmed B-Pillar? The BraunAbility MXV has many specially-engineered space saving features including a b-pillar that has been both slimmed and strengthened. This pillar makes up the side of the front door frame between the front and second-row, and by re-engineering the pillar, the MXV entryway was opened an additional three inches. Though much less bulky than the OEM design, the pillar was reinforced with cast steel to protect passengers in the event of a side-impact. 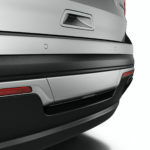 The result is a pillar that performs as well as the OEM but increases space dramatically. Why Does the MXV Have a Minivan Door? The original rear passenger door on a Ford Explorer is a traditional swing door that you see on all SUVs today. We knew this design wouldn't work with an automatic or manual ramp: there simply wasn't enough room to accommodate the necessary space. 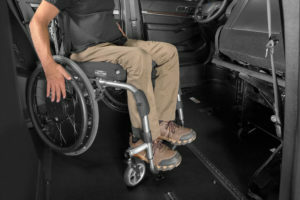 An extensive door system investigation and accompanying design group were launched to find the design that would allow this vehicle to be independently driven by someone who uses a wheelchair. The resulting design was a hybrid of a commercial bus door system and a custom-designed swing door tailored to work with the new b-pillar. This patented design changes the operation of the rear passenger door from a standard door to a gliding door reminiscent of an airplane hatch. The door gives a futuristic feel to an already bold body style, and the automatic operation means the door opens, the kneel function is engaged and the ramp deploys all from the push of a button on the MXV key fob. An added benefit to the door design is that it can also be opened manually in the event of an emergency by pulling the door handle on the interior or exterior of the vehicle. What Are Tilt N'Go Seats? The latest additions to the MXV design are the Tilt N'Go front seats and is the only Ford wheelchair van on the market to include this technology. These seats, with the tap of a button and a gentle push to release the lock, spring forward to create three times more maneuvering space for a wheelchair user. After receiving feedback from our loyal customer base, we learned that even though many other space-saving designs like the cantilevered seat bases and sliding front shifter which was unique to the MXV design, some manual and power chair users still found the vehicle challenging to navigate. Now, with Tilt N'Go seats, more people than ever can enjoy the style of the wheelchair accessible SUV with added functionality. Does the Accessible Ford Explorer Keep Its Towing Capability? Along with the Chrysler Pacifica, the Ford Explorer MXV retains it's towing capability and capacity. 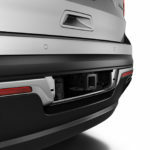 With a 3.5 liter Ti-VCT engine, the Explorer MXV yields a towing capacity of 2000lbs or 5000lbs with the factory class 3 hitch package and weight-distributing hitch. For active owners, towing can mean anything from trailers to boats and the freedom to take long road trips or a quick weekend getaway to the lake with friends and family. Can I Find a Used BraunAbility Ford Explorer MXV? The MXV is the pinnacle of accessible vehicle technology, allowing its owner to be a completely independent driver. 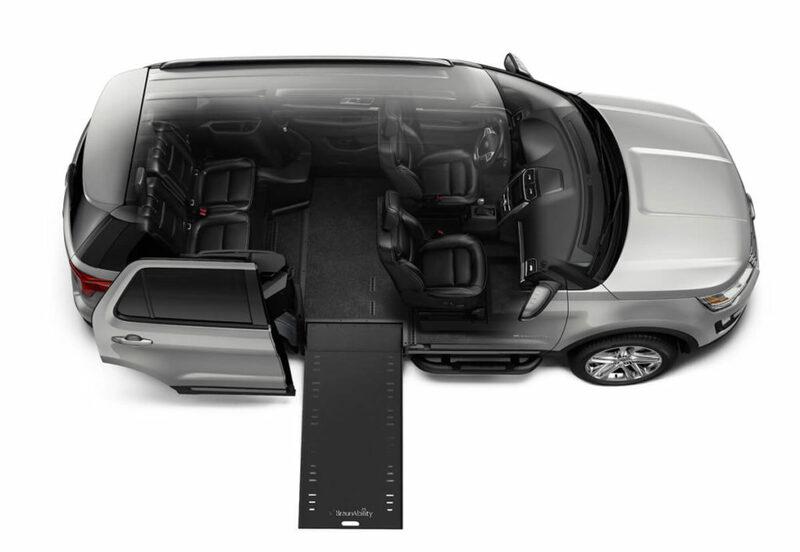 Now, the BraunAbility wheelchair accessible SUV is even available as a Certified Pre-Owned (CPO) vehicle option, reducing the overhead cost, while providing maximum value to the customer. The CPO MXV comes with a 7-yr/100,00-mile powertrain warranty and comes factory-inspected to ensure the vehicle and conversion are perfect before pickup. Check out other great MXV features on the BraunAbility MXV webpage. Have more questions? Call our Customer Experience Group at 800-488-0359 or email us at productspecialist@braunability.com Monday through Friday, 9-5 and we'd be happy to help you find the BraunAbility Ford Explorer MXV that fits your active lifestyle!